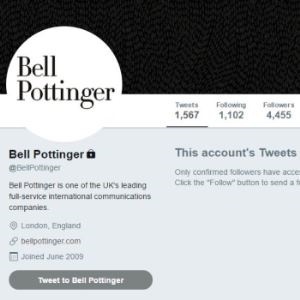 London - Bell Pottinger’s attempt to sell itself has reportedly collapsed amid an exodus of clients and staff, succumbing to an unprecedented backlash over the London public-relations firm’s involvement in a racially divisive social-media campaign the company ran in South Africa. Executives at Bell Pottinger told employees on Thursday the firm could be put into administration as soon as next week, Sky News reported on Thursday, citing unidentified sources. The last potential buyer being courted by financial adviser BDO has withdrawn from discussions, according to The Telegraph. A Bell Pottinger representative didn’t immediately respond to Bloomberg News requests for comment. BDO has been racing against the clock to salvage some value from the prominent PR firm founded by a media adviser to Margaret Thatcher, following a damning investigation into its South African campaign. The probe found that work Bell Pottinger did on behalf of the Gupta family was potentially racially divisive, and this week the agency was kicked out of the UK PR-industry body in an unprecedented rebuke. Clients including HSBC and construction firm Carillion cut ties, and senior executives started jumping ship. The firm said late on Tuesday that it had hired BDO “to look at all options regarding the future of the business.” That effort has now reportedly fallen short. Staff were told on Thursday that the company’s finances had become tenuous and they could terminate their employment, Sky reported. Co-founder Timothy Bell told BBC’s Newsnight program on Monday that the agency was “probably nearing the end.” Bell, who formed the firm in the 1980s, left last year. Bell Pottinger employs more than 240 people in offices dotting the globe, in locations including Bahrain, Kuala Lumpur and Yangon, Myanmar. The firm has served clients ranging from multinational businesses to governments and high-profile individuals, according to its website. It had £33.3m in revenue in 2015, and net income of £3.3m, according to data compiled by Bloomberg. The agency attracted attention in the past for taking on controversial clients like former Chilean dictator Augusto Pinochet’s foundation. According to a 2016 report by the Bureau of Investigative Journalism, a US-funded anti-Al-Qaeda propaganda campaign that Bell Pottinger carried out in Iraq included fake insurgent videos used to track those who accessed them. The latest crisis gathered pace this week after the investigation into the campaign carried out on behalf of the Guptas, who are friends with South African President Jacob Zuma and in business with his son.